We are one of the leading manufacturers and suppliers of Andalusite Stone . Our Gemstones are acclaimed for their high quality, reliability and fine finish. These can be availed at very affordable rates. We always ready to cut customize designs as per your requirement. This Andalusite Faceted Tear Drops Super Rare Qua is available with a size of 10-6mm approx. These are made using superior quality materials and widely in demands among the customers in the market. These gems can be availed by our clients at wholesale prices. These gems are easy to carry because of their light weight and decent shinning look. 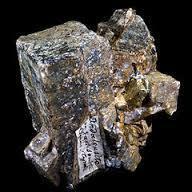 Andalusite derives its name from the Spanish province where it was first sighted in 1789. Its play of red, green and yellow hues resembles a muted iridescence with adaptable color tones. Andalusite is a strongly pleochroic gem, which means that it can display different colors when viewed from different angles.